We’ve added a port for a catalytic temperature probe just above the center of the loading door. The probes are simple bimetallic coils attached to a stainless rod. 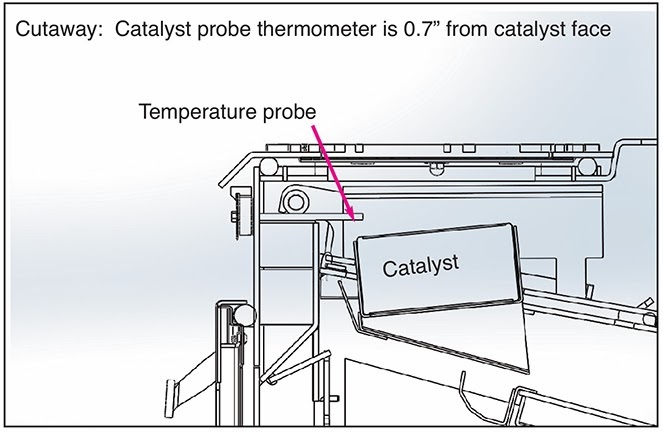 We have been testing the bimetallic probe against a thermocouple: it’s certainly “in the ballpark” and gives a good idea of catalyst light-off. Happy to see this addition. 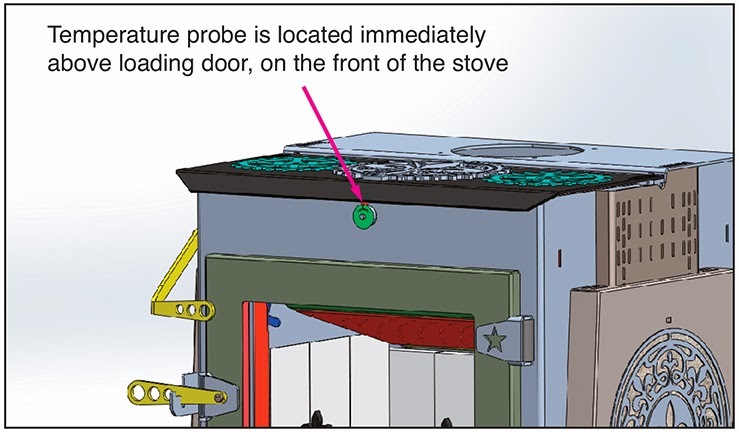 Via a friend who knows stoves, I have learned that this temperature probe will give a good indication of time to refill, time to open or close damper too. Does this sound right. How will you use the readout info?